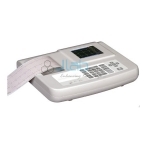 Jlab is renowned ECG Machines Manufacturer, ECG Machines Suppliers, ECG Machines Exporter, Hospital Surgical Equipments, ECG Machines India. 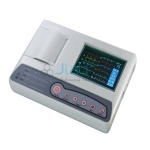 Jlab is leading manufacturer of medical specialty Equipments like Tele EKG, EKG machines in India, we have got complete range of graph machines that embody single channel ECG, three channel ECG channel and Twelve Channel ECG machine. Our moveable ECG machines have a number of the distinctive options having Color TFT, Direct USB A4 Printouts, USB Storage facility at terribly affordable worth. Jlab manufactures the High quality effective ECG for worth sensitive Indian market. 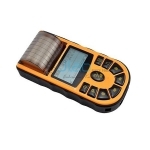 we have a tendency to conjointly manufacturer computer based mostly ECG machines which might be used with portable computer for tele inhabitancy functions.